Well, let me backtrack just a moment. After you have an email list going and you’re sending out regular emails to your subscribers, you need to keep tabs on the number of Opens and Clicks. You can find this information through your email service provider; the service should provide reports. Why is keeping track of your Opens and Clicks so important? The answer: Email marketing takes time and effort . . . you don’t want to waste your time. In the simplest terms, the Open and Click rates are the only way to know if your email marketing efforts are paying off. If you have 500, 1000, 10,000 or more subscribers and only 10 percent of your emails are being opened, you’re losing a lot of your mailing list’s potential. The same holds true of your click rate. If your subscribers aren’t opening your emails and aren’t clicking on your links, you won’t be selling much. So, it’s easy to see that tracking those numbers is important, but since the Open rate is more important than the Click rate (if they don’t open your emails, they certainly won’t be clicking on anything), let’s go over how you can improve your Open rates. This is probably the number one Open determinant. If the title (subject line) of your email is engaging, offers to provide something your list needs, or has some other motivating factor, your Open rate will increase. Effective titles should also be keyword effective. Using Adwords.google.com, I found that the keyword “information product” has 165,000 global searches and 60,500 local searches. This is valuable information. I know this is a keyword people are searching for. 2. Avoid ‘spammy keywords in the title. Remember keep it honest, simple, and to the point. 3. Skip the uninformative titles. • Do you think this works? People are too busy and have too much in their inboxes to play a guessing game of what the actual content will be about. I quickly delete these types of titles. 4. The content of your email (or the link) must be relevant to the title. As with everything in marketing, you need to be focused. Your title must be a foreshadowing of what the content will provide - it must be relevant to the information in your email. There you have it – four tips to increasing your email Open rate. 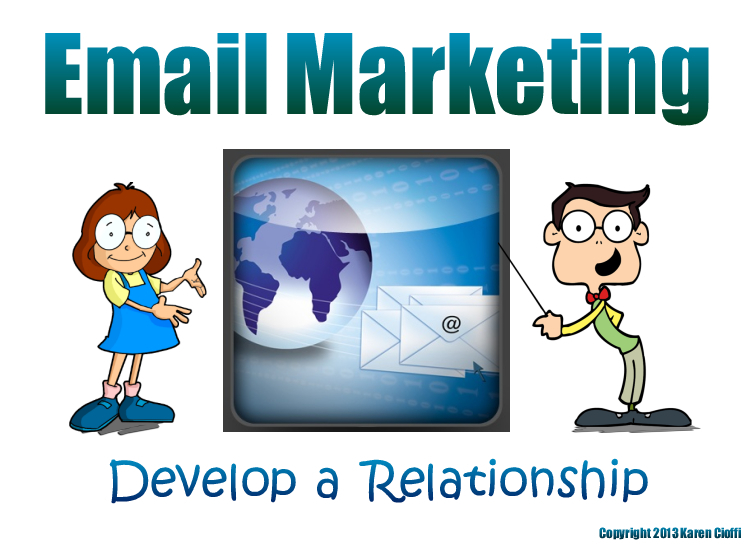 After you develop a relationship with your subscribers through regular and helpful emails that follow the four tips above, your subscribers will trust that you are offering helpful information and be more inclined to ‘Open’ the email. P.S. Like this post? Please Share It!